A Pennsylvania widow says she has forgiven the man who killed her husband decades ago and is urging the governor of Pennsylvania to spare the condemned murderer scheduled for execution Oct. 3. Terrance "Terry" Williams is on death row at the State Correctional Institute at Greene, south of Pittsburgh, for killing Amos Norwood, 56, with a tire iron in Philadelphia in 1984. Defense lawyer Victor J. Abreu said Williams' crimes were mitigated by a childhood of sexual abuse that later included attacks by Norwood, who abused Williams for years. Williams was 18 at the time of the murder. 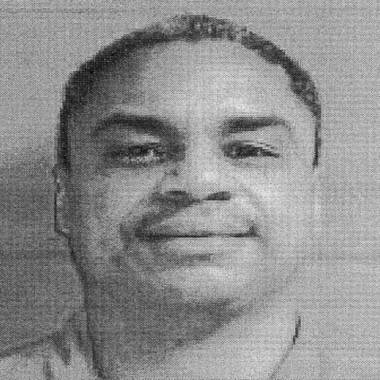 Williams, now 46, is also serving a life term for killing another alleged abuser, Herbert Hamilton, 50, when he was 17. Norwood's widow, Mamie Norwood, described her husband's killing as "unbearable" but wrote in a letter that "several years ago, after much prayer and self-reflection, I found the strength and courage to forgive Terry Williams." "I do not wish to see Terry Williams executed,” she said in her letter. Norwood’s letter was included in a clemency petition filed Thursday with the backing of dozens of lawyers and child welfare advocates who called upon Corbett and the Pennsylvania Board of Pardons to stop Williams' execution. Williams' clemency hearing is scheduled for Sept. 17, Abreu said. "He was a victim of horrific abuse since he was 6 years old,” Abreu told NBC News. "The jury didn’t know that the two men who were killed were abusing him. That information was never presented to the jury." Abreu said he spoke with Williams last week at the maximum security prison near Waynesburg and described their conversations as upbeat. "He remains hopeful that the board and the governor will intervene in this case. He's is optimistic about that," he said.